Welcome all! 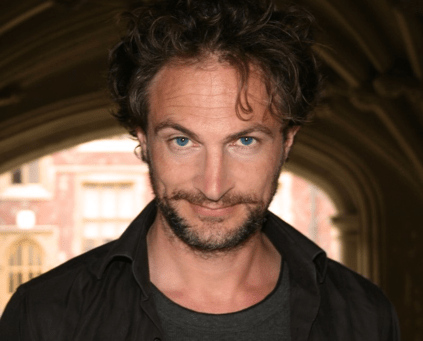 We are happy to kick-start this year’s Halloween Week with a guest post by British author Marcus Sedgwick. His newest book is called Midwinterblood a story of love and sacrifice through the ages. We both loved the book (check back later today for the review!) and we have invited the author to talk about the inspirations and influences behind the story. Please give it up for Marcus Sedgwick! Midwinterblood has a couple of main inspirations: the first being the extraordinary painting by Carl Larsson that hangs in Stockholm’s National Museet: Midvinterblot translates directly as Midwinter Sacrifice, and it shows the moment just before some terrible pagan act is committed. I first saw the painting some years ago and immediately felt I wanted to write about it, but just as quickly felt I didn’t want to merely reimagine the story as depicted in the painting. Last year, I was standing in front of the painting again with a friend, and whining l slightly that I was a bit stuck as a writer, because every book I wanted to write felt like a version of The Wicker Man, to my mind, Britain’s best horror film, made in 1973 and starring Edward Woodward as the doomed policeman, and Christopher Lee as Lord Summerisle. My friend, whose name is Merl, turned to me and said, well, what’s wrong with that? Good point, I thought, and the following day, as I cycled around the village I was living in, I realised that what I wanted to do was not tell one story of sacrifice, but seven stories, all addressing sacrifice, and love. So what you get in Midwinterblood is seven stories taking you further back and back in time, each set on the same island, and each concerning the love between two souls, Erik and Merle, until we meet them for the final time in the world where they first met – that of the pagan sacrifice from Larsson’s painting. Marcus Sedgwick was born and raised in East Kent, in the South-East of England. He now divides his time between a small village near Cambridge and the mountains of Switzerland. Alongside a 16 year career in publishing he established himself as a widely-admired writer of YA fiction; his books have either been shortlisted for, or won, over thirty awards, including the Booktrust Teenage Book Award, the Carnegie Medal, the Edgar Allan Poe Award, and the Guardian Children’s Fiction Prize. His latest title in the UK is Midwinterblood. You can read more about the author at his website, or follow him on Twitter . This is a great insight on the book, thanks for sharing (and thanks to the author for it)! 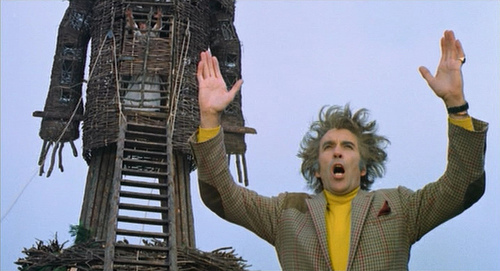 Oh my gosh, he WAS influenced by The Wicker Man! Hah. I referenced the film in my review, but I didn’t realize he’d acknowledged it. The first part of the book definitely had a very similar feel to the the original film. Love this guest post, thanks so much for hosting it.